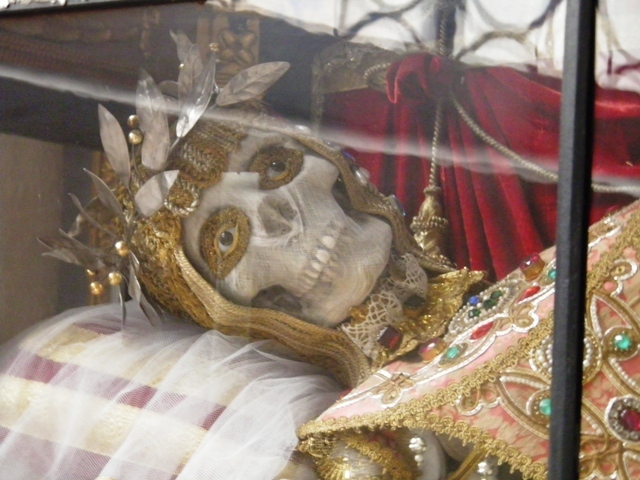 The bones were found during excavations under St. Peter’s Basilica in the years following Pope Pius XI 1939 death. Pope Pius XI had requested he be buried in the grottoes underneath the Basilica where dozens of popes had been previously buried. During these excavations, archaeologists found a funery monument with a casket built in honor of St. Peter with an engraving in Greek that read “Petros eni” or “Peter is here.” According to a 2012 book written by a Vatican correspondent, Bruno Bartolini, “The Ears of the Vatican,” these relics were given to one of the basilica workers who stored them in a shoe box kept in a cupboard. 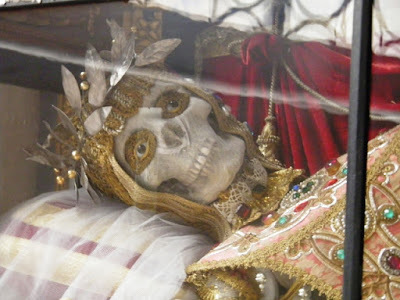 These were discovered by Greek scholar, Margherita Guarducci, who reported them to Pope Paul VI who proclaimed they were the bones of the first Catholic Pope Peter. the bones at the start of the mass and clutched the case in his arms for several minutes upon completion of his homily. Many archaeologists dispute the finding that these bones belong to Peter and claim scientific evidence could prove this treasured claim false.